Stella Grant Price went home to her Lord and Savior Jesus Christ Saturday afternoon at Kitty Askins Hospice Center surrounded by her family. A funeral will be held Monday evening at Free Gospel Church at 6:30 p.m. with the Dr. Robert Leatherwood, Preacher Gary Tingen and Pastor Mike Parks officiating. The visitation will immediately follow the service. Interment will be held Tuesday at 11:00 a.m. at Wayne Memorial Park. Stella was born November 1, 1927, to John and Rosa Grant. Surviving is her sons Ricky Price (Judy); Skip Price (Dianna) and Jeff Price. Grandchildren; Brandi Matthews (Jeff Bailey), Lindsey Sanders (Aaron Sanders), Alyssa Price, Brittany Coley (Justin Coley) and Bailee Ellis (Chandler Cannon). Great-grandchildren; Chandler Matthews, Caleb Matthews, Clay Matthews, Eli Sanders, Zeke Sanders, Riley Santifort, and Elliott Coley along with several special nieces and nephews. Also surviving her is her brother Donny Grant (Judy), sister Connie Marshburn (Dr. Dee Marshburn), and sister Yvonne Leatherwood (Dr. Robert). Ms. Price was born in Snow Hill North Carolina and was preceded in death by her parents; John and Rosa Grant and her beloved husband Richard Martin Price. Additionally her siblings; Wilton Grant, Bliss Head, Oz Grant and Hubert Grant. Ms. Price was a lifelong member of Free Gospel Church which her Father helped establish and Pastor. 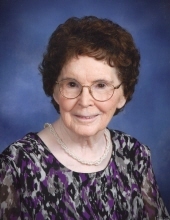 She was a Sunday school teacher at Free Gospel for over 50 years, active member of the Ladies Auxiliary and was a choir member of many years. She was a Board Member of William Carter College and was a regular attender of the Widow and Widowers of Free Chapel. She was a very dedicated and hard worker for over 50 years at S. H. Kress and Home Bazaar. She attended Bible classes regularly and faithfully at Saulston Methodist Church on weeknights and therefore established her own library at her home. Ms. Price’s favorite past time was spending time with her wonderful family, loving on her Grandchildren and Great grandchildren and getting her beautiful toes pampered with her best friend of many years Ms. Earlene Strickland. Ms. Stella was dedicated to giving to the Foreign Mission Field for many years. She felt this to be one of her greatest passions. Donations in her memory may be made to the Free Gospel Foreign Missions. The family would like to express their deepest gratitude of appreciation to Sutton’s Retirement Home and all of those who volunteered their time as caretakers over the past few years, weeks and final days. Ms. Price’s heart was worshiping her Lord and Savior and witnessing to everyone she came in contact with. Her desire was to win everyone’s heart to the Lord especially her children and family in hopes that one day she will meet them all again in heaven. To send flowers or a remembrance gift to the family of Stella Grant Price, please visit our Tribute Store. "Email Address" would like to share the life celebration of Stella Grant Price. Click on the "link" to go to share a favorite memory or leave a condolence message for the family.